It's a Bird, It's a Plane... 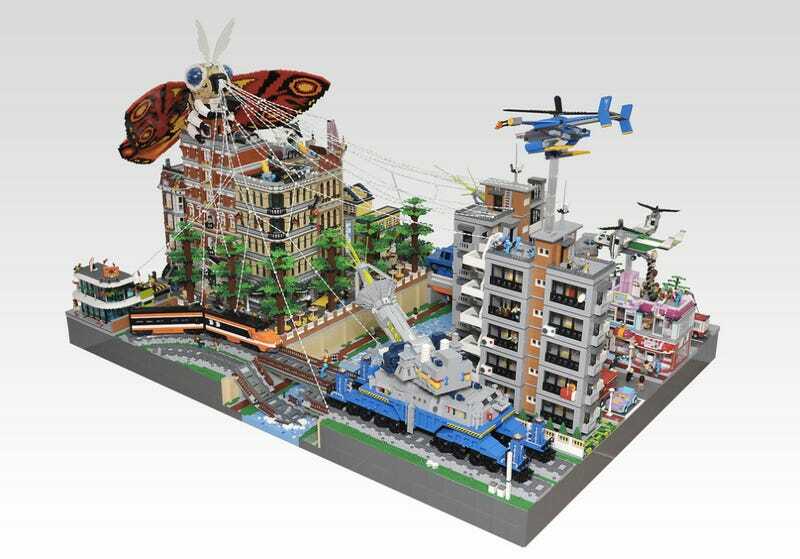 It's Giant Lego Mothra! Olive Seon built this terrifying Lego Mothra (モスラ), showcased in all her lepidopteran glory. She's featured using her signature ability, entrapping her enemies with silken spray. Mothra is likely laying waste to New Kirk City here (in revenge for the kidnapping of secret fairies by evil, greedy American businessmen).